Photographer Aaron Siskind once said, “photography is a way of feeling, of touching, of loving. What you have caught on film is captured forever. It remembers little things, long after you have forgotten everything.” And that is just how we fell about your wedding photographs. We know exactly which details to focus on to preserve your special day for you and your future generations.  Land’s End waterfront venue is located on Long Island, in the quaint town of Sayville, overlooking the Great South Bay. The setting is renowned for its stunning water views, implacably manicured landscape, high-quality service, and unsurpassable cuisine. It is a premier location for waterfront wedding celebrations. The Land’s End 4,700 square-foot Grand Ballroom features a 675 square foot mahogany dance floor and a vaulted 20-foot ceiling. Your guests will be impressed with the full bar and recessed spot lighting, which will highlight your wedding centerpieces, complementing the moon’s reflection on the water. The ballroom has a 325-person capacity for a wedding reception and 250-350-person capacity for a seated reception. Directly off the Grand Ballroom, you will find the 800 square-foot Cordial Lounge, which encapsulates the ambiance of rustic days-gone-by. This historic room combines comfort and opulence with its plush leather sofas and dark mahogany walls. The grand staircase and mirroring fireplaces make superb backdrops for photographs, as do the French doors, which lead out to a private patio. If your dream is to walk down the aisle before a backdrop of breathtaking coastal beauty, you will love Land’s End’s beach gazebo with its view of the jetty and crystal water. With the lush gardens and fresh ocean air, your friends and family will feel transported to a distant island. You can have the perfect beach wedding you have dreamed of right there at Land’s End. The beach gazebo has a 325-person capacity. Treat your guests to pre-reception cocktails in Land’s End’s signature cocktail space. Your friends and family will be delighted with the surrounding views of the tranquil waters, baby grand piano, three fireplaces and the 40-foot granite bar. There’s plenty of room to mingle and create unforgettable memories. The cocktail space has a capacity for 325 or seating for 210. Another of Land’s End’s unique event spaces is the canopied deck and patio. Share your joy with those who are dear to you in this sunset retreat on Brown’s River, overlooking Fire Island. The 6,500 square-feet canopied deck and patio has a fire pit where you and your groom can get cozy and enjoy a romantic night. The deck and patio have a 275-325-person capacity for a seated reception and 300-person capacity for a ceremony. Why not give us a call so we can book an appointment to meet with you and your betrothed? We can show you our wedding portfolio so you can get an idea of how we pay attention to couples and their guests to produce unique images.